Definition at line 2813 of file llspatialpartition.cpp. Definition at line 2820 of file llspatialpartition.cpp. Definition at line 2861 of file llspatialpartition.cpp. References LLDrawable::getVObj(), LLViewerObject::lineSegmentIntersect(), LLViewerObject::mDrawable, mEnd, mRet, and mStart. Definition at line 2826 of file llspatialpartition.cpp. References LLOctreeState< T >::accept(), LLOctreeNode< T >::getChild(), LLOctreeNode< T >::getChildCount(), LLOctreeNode< T >::getOctState(), i, LLLineSegmentAABB(), LLSpatialGroup::mBounds, mEnd, mRet, mStart, and size. 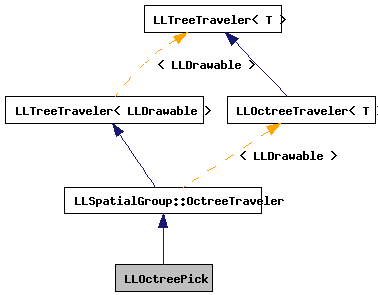 Referenced by LLSpatialPartition::pickDrawable(), and visit(). Definition at line 2853 of file llspatialpartition.cpp. References check(), LLOctreeState< T >::getData(), and i. Definition at line 2817 of file llspatialpartition.cpp. 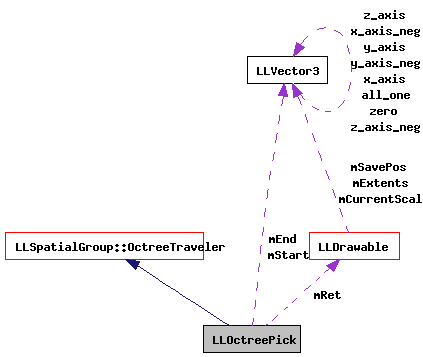 Referenced by check(), and LLSpatialPartition::pickDrawable(). Definition at line 2818 of file llspatialpartition.cpp. Referenced by check(), and LLOctreePick(). Definition at line 2816 of file llspatialpartition.cpp.